We support high schools, elementary schools, small colleges/universities, career schools, non-profits, clubs, teams, corporate groups, and more. Pricing is $649 + .08 per record with e-mail. No extra fees for admins. Cloud-based membership management suite for alumni, school and other organizations. Store membership data online, giving both the organization, and its members, 24/7/365 access to keep data up-to-date. Our clients include all sizes of K-12 schools, associations, small colleges and universities, non-profit membership groups (camp, youth group, etc. ), and corporate-based alumni networks. Alumni Channel Reviews Recently Reviewed! Pros: Founding an alumni network for my high school was a piece of cake because of Alumni Channel's product and service. While I had a background in graphic and web design, pratically none of my expertise was needed from a design perspective. Nearly everything was automated and populating the system with members, content, and event info. was a cinch. Alumni Channel's services are pretty basic, but the number of features provided are pretty mind-blowing even to a designer such as myself. Personally, I bet I'm only taking advantage of 20% of the features provided and more are added each quarter. The customer service is fantastic; I don't know of another service that provides such excellent support and transparency. We secured over 1200 members within two years - all based on word of mouth marketing and Alumni Channel's excellent products. Cons: There is nothing I can think of that comes to mind about any flaws or constraints with regard to Alumni Channel. Perhaps if I had the chance to take advantage of all the features, I could come up with something that as missing. However, from my experience, based on the needs of my alumni network, there are no issues I can think of at this time. Overall: While there are plenty of competitors in the current market for alumni and membership groups, I wouldn't recommend any other than Alumni Channel. The products and services offered, features and benefits, and excellent customer service and support - combined with extremely reasonable price points will be the reason that my alumni network will continue doing business with AC for many years to come. Finally, with a very generous referral program, alumni and membership group leaders can run their networks virtually for free by promoting the power and potential of Alumni Channel. Pros: Chris has been quick to respond to requests for adaptations/customization to the sites and most of the requests for customization were fulfilled. The simple and easy to use system allows me to quickly upload news and other information. The layout makes it easy for users to find new information. Cons: With 3 different sites to manage, I find the slightly different formats used for storing/reporting alumni data make end of month reports more difficult than they should be. I would prefer to have the data in a MySQL compatible format that could allow for e-commerce and similar operations. The current layout leaves quite a bit of information below the fold. especially if there are expanded entries in column one. When I have asked colleagues to navigate the page, none have navigated below the fold far enough to see past the maps section without prompting. It would be nice to have greater feedback of usage patterns such as browsing sessions, heat maps, and deeper link analytics. It would be nice if the page creator utilized style sheets to maintain a consistent look when information needs to be moved off the main page (because of length, tracking, etc) on to a new web page. 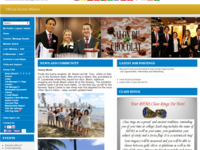 Overall: The site is simple and easy to use with a quick learning curve. I think it works great and would highly recommend the site for those that don't have IT creatives on-hand to manage and maintain their own website. Service from the staff is exceptional. Helpful responses come quickly to questions, concerns and requests. Comments: First, I want to say that I offer a good review for platform and team. I belive the platform is very complex and contains information written for made easy of use . I think it can be an excellent model for programmers. It is important to collaborate better with colleagues and Chris provide support on request. When I asked in the email I received information support and understanding. That the strong points I see the complexity of the platform, the diversity of information that can be posted, good possibility of use, excellent quality of people who provides the support from the team. The weaknesses are: sometimes the platform is open or work hard and yes sometimes errors - does not allow access in a given area, does not register occasionally change entered. Shall be remedied later at the Retry. - a possibility to have permanent access to the number of graduates of all promotions/all data entered on them - if the graduates may delete their account, this is no longer possible - we have the institutions that require these data as numbers or files with the complete data. Personal, I will give myself how long it takes for the platform and graduates in future, because I wish to know all about the platform and its use, about my graduates and is an opportunity to use a wonderful platform that this and should cooperate with the team. Pros: As webmaster, I write reviews about our alumni. The software allows me to present interesting stories about what our classmates have done since graduation. Overall: I am able to provide classmates with accomplishment of all our classmates. Pros: When we were first setting up the site, Chris was extremely responsive to our wishes and took great care to adapt the site to meet our needs. He continues to be very responsive to queries or concerns. 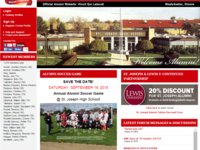 The site is easy to use for both alumni and admin. There is very little site maintenance required, and exporting data is straight forward. Chris takes excellent care of his customers and is constantly making improvements and adding enhancements. He understands that an alum site must adapt to the evolving expectations of alumni. He also understands that reliability and security are of paramount importance. Alumni Channel is very reasonably priced, especially compared to its competition. Cons: Chris updates and improves the site's features so frequently that his instruction manual can't keep up with the changes. But, features tend to be very easy to use and intuitively designed so instructions generally aren't necessary. And, Chris responds very swiftly to questions; so frequent updates are not a problem. Overall: I highly recommend Alumni Channel. Pros: Many of the pros of the system are its ease of use, customizable databases and interfaces, meet the needs of end users on all computer levels, and feature an ever changing list of enhancements that try improving the system; while maintaining superior customer service. Cons: I to date have seen no cons with Alumni Channel. Overall: There is perhaps no greater challenge in a fast-growing organization, than finding great organizations capable of ensuring success. We encountered just such a challenge at Webb Institute. I was tasked with finding brilliant minds and passionate hearts to help our organization serve our growing thousands of faculty, students, administration, alumni and parents. Alumni Channel has both, and was a perfect fit in our time of greatest need. They are a consummate team-player; positive, upbeat and fun, focused and capable, innovative with ideas and always open to improving the status-quo. When tasked with reinventing everything the organization knew about virtual and online properties-- they came through in a big way. Alumni Channel researched and implemented industry best-practices, reworked and reconfigured our areas of opportunity, and creatively remastered our virtual world--all while keeping the organization's mission as the central focus. This website has been a wonderful tool for reaching out to former classmates. Pros: I like the fact that you are able to view all users from their respective graduation years, and read their updated bio. I also like the fact that you can post events being held. Since our school has been closed for years, it has enabled us to find and connect with former classmates. Cons: There is very little that I don't like about it. The only problem I have is sometimes I have a problem sending out email blasts but the support always helps. Pros: It's relatively young and has room to grow. Customer support is always present and willing to make adjustments in order to accommodate the needs of the client. Prices are not overly expensive and you get your money's worth apart from being able to speak on a level with Mr. Gehringer who is always friendly and willing to be of assistance. The supporting material is always there, such as the manuals and even an alumni plan to help clients get started towards successful alumni community developments. Overall: If your looking for the kind of customer support which puts you on a down to earth level between provider and client, then I highly recommend Alumni Channel. At the end of the day, you want someone to be there when something goes wrong, nothing has gone wrong so far and I would say that is mainly due to the fact that Mr. Gehringer has always been there to make sure things run smooth even before I have to ask. 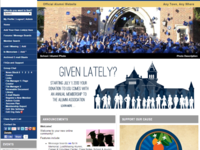 Any academic group seeking to create a web presence for their alumni or members should go with. Pros: Customer support and customization. They have been extremely helpful in working with us in set-up, customization of website features, pricing structure, and all aspects of supporting the product. And the site features are exactly what we need for an alumni communication center. Couldn't ask for a better set-up or a more responsive support situation. Cons: None, really. The only Con that comes to mind is that the product advertiser that is the default on the site is nowhere near as responsive and got or name wrong for a long time. Their loss, as no alumni would buy a product with an incorrect name on it. 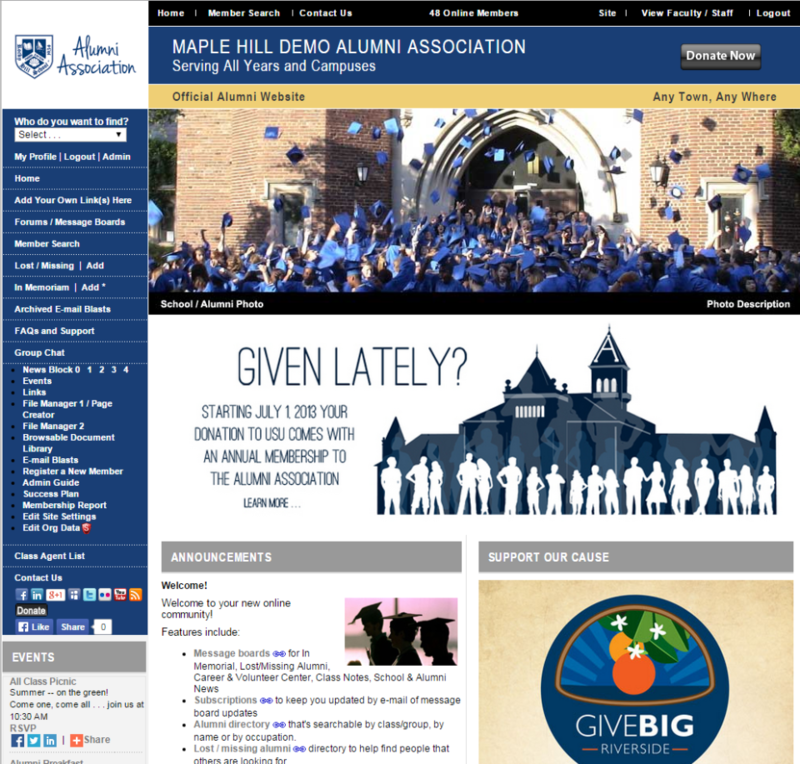 Overall: Any academic group seeking to create a web presence for their alumni or members should go with Alumni Channel. There are some other similar sites out there, and they either offer a similar level of service for an overinflated price, or they force alumni to pay for every little feature and drive them away. Alumni Channel is the perfect package at the right price. Sounds like an ad campaign, but it's really how we feel about it. Outstanding Quality, Creativity and Service generating results for our 4 websites! Pros: We were one of their first customers, starting with one website and growing to four. Prompt, personal service is one of their hallmarks. They are pro-active in dealing with us and don't wait for us to request services, but prod us to do more with the services they offer. Highly recommended for anyone wanting to operate a worry-free website. Cons: If there's any "con" it is with us not availing ourselves of their many services, thus making it an ideal company for the organization that doesn't have the personnel to manage their own site. Overall: What I like most about the Alumni Channel is that they never rest on their laurels. They are constantly offering fresh ideas to help our organization meet its objectives. They are constantly sharing "best practices" to give us great ideas for dealing with our constituency and for keeping our alumni connected. I couldn't ask for a better company to help us maintain the quality service we pride ourselves in delivering to our alumni. Pros: Operator is very involved, has good recommendations to create a successful alumni site, keeps on top of things. Implementation of requested features happens relatively quickly. The service does work to create a community. Cons: Site has the features, but it feels like it is strapped together, as opposed to having a unified interface. This may only be a con for those looking for an "iPhone"-style interface for making the website. No way to easily re-design the site, but I'm sure it would be added if asked (I haven't asked yet). Overall: Recommended if you are somewhat web-savvy, and don't mind using that knowledge to get things going. Bottom line, the service works to create a community. If that is your end goal, alumnichannel.com will do it. Pros: Alumni Channel provides a robust social network platform for schools wishing to deploy an alumni presence. For our site specifically, they provided a custom setup within days of initial contact which. Support time for technical or other issues is less than 24 hours. Cons: A lot of the platforms functionality is built into the core application which from what I understand makes it difficult to make certain changes. Overall: If you're looking for an alumni site for your organization, this is the best product out there. Thank you Rolland for reviewing our product. We attempt to keep costs down by streamlining our offering into a centralized template, but depending on your needs and budget we can work with you to accommodate any situation. Support for questions/custimization of your site is excellent. Links to other social media is available for each user. Registered vs. non-registered home page & links provide privacy. Metrics for admin to track user site access is great. Cons: None. Met our needs at this time completely. Overall: Highly recommended to any organization looking for a "home" for its users. Communication tools and registraton process is excellent. Alumni Channel gave us a professional website with many features. Pros: Ease of use, customizable to meet our needs, technical support, speed of site, many features and functionality, integration of social media, and cost. User experience, ability to reconnect with other classmates and accept donations. Database and profile management make it easy to send email blasts. Overall: We are extremely happy with our choice of Alumni Channel. Chis Gehringer has been a pleasure to work with throughout the implementation process and after we went live. He is always accessible and will quickly respond to any questions we might have. Do yourself a favor and make the decision to move to the Alumni Channel today! Pros: Ease of use and the ability to contact our members with one click. We can send out frequent "blasts" to inform our membership of up-coming events and to fund raise. Cons: Need more members providing info. We need to provide access to class representstives so that they can provide current information to their classmates. Overall: Increased membership and donations. Pros: I think Chris is extremely flexable and easy to work with. It has been great to brainstorm ideas that I have and come up with ways to implement them on the website. He has been extremely patient while we work on providing a method to pay for the services he has provided as well. Cons: Resizing pictures to fit into the long_photo section was difficult to learn. I had to do that work outside of the site in another program. It would be great if you could upload a picture there and edit the size just like you can in column news. Overall: I would definately recommend to others and have. Would recommend to anyone trying to build an alumni program. Pros: Company is a pleasure to work with - they respond quickly to problems, questions, etc. Customer service support is amazing. Product works well, and we have received many compliments on how easy it is for alumni to use. Cons: Sometimes takes more effort than anticipated to make updates and changes. As an example, I haven't changed / deleted any of the photographs on our alumni site because I haven't had the time to figure it out. Wish that part was a bit simpler. We also need to take more advantage of the product's tools and become more efficient in using them. Overall: Would recommend to anyone trying to build an alumni program. Comments: Overall, I am very pleased with this software and I see it having great potential within our community. For the most part it is very user friendly and easy to navigate and use- with the exception of a few technical things like font size/color/layout- but everything else is clearly laid out in the Admin Guide. For someone who has very basic technical skills, I did not have much trouble at all figuring out how to navigate the site and change its settings. Customer service is excellent and I could not have asked for a better support system when building this database. Very friendly and helpful and I would definitely recommend this product to others! Pros: The Alumni Network is an excellent vehicle for interactive communication with alumni. Alumni have the availablity to link to Facebook or Twitter as well as email within the online alumni community. Wonderful asset to have in preparation for celebrating our 50th anniversary...engages alumni. Cons: Their is some transition to implementation/usage...with picture storage/retrieval, etc. The Alumni Channel has wonderful support in place and is accessible when needed. Overall: I absolutely recommend this product. In today's technological world, it is vital to provide this online community outreach to alumni. Pros: The customer support is wonderful! Chris is VERY helpful! The site contiues to bring in the use of new technology (facebook, live customer support chats, ect.) which is crucial! Cons: The ease of using the writer for email blasts/news posting is somewhat difficult because it does not read microsoft. With some further training with all the site has to offer, I feel this site is certainly meeting our needs. Overall: I like the overall feel of the site, but would like some additionally training as new options become available (and refreshers for existing ones). The A&A website really is a great way for our members to connect. Pros: It is extremely user-friendly. If I can't figure something out on my own (which I usually can by referencing the manual) Chris has always been available to assist me with updates and questions. The "search by state" feature is a big hit round these parts. Thank you for making the effort to customize our site to fit FCCLA's needs. Cons: Not being able to upload very large documents. I dislike making Chris take time to do this for me. Overall: The A&A website really is a great way for our members to connect. Several alumni have reunited through this medium. Great customer service, website is very easy to build and use. The websites are all based on a template form, so if you are looking to build an alumni website totally from scratch and have infinite possibilities, this is not the right service for you. That said, there are many customizations you can add and Chris is great at telling you what's possible and what's not possible. It helps if you have a decent understanding of HTML/CSS and have experience managing/updating a website, although I don't think it's necessarily required. 1) Built on older framework that isn't as flexible as we'd like. Layout styles are dated and a bit stale, and using it requires training and Q&A. A better, more modern (less proprietary) framework would be helpful, that allows for better & easier layout, page, image and function control (without the intervention of the company). The ability to link data to other sources would also be helpful. We tested three different content management offerings and chose Alumni Channel for it's function vs. cost. For our average user it works fine and offers the features they use. A more modern feel and look would be helpful, especially as we try to get younger alumni involvement. The owner is passionate about Alumni Channel, and as a result is swift to respond to questions and gets high marks for that. Comments: Alumni channel is a comprehensive platform for hosting school alumni; providing latest tools and social media capabilities. With the platform, members have all tools to reach other members and increase memberships. We have searched for a long time to find a platform that provides this type of capabilities. Our search was over when we found the Alumni Channel. We are very happy with the platform and will strongly recommend it to any alumni organization that want a good web presence with the state-of-the-art tools. Comments: We have been working with Chris Gehringer and Alumni Channel for almost a year. Chris and his staff made our transition from our old web host to Alumni Channel a delight and it was very easy. Feedback from alumni members has been very favorable as to ease of navigating around the website. We had excellent training and even now when ever there's a question we get an answer almost immediately. If you are thinking of setting up a new website, give these guys a call, they are the best. Pros: We had a lot of specifics we wanted on our site and Chris was very accomodating and helped us to get the site we wanted. He has been always available to answer questions. We had a tight deadline and he helped us meet this! Cons: There are some restrictions with what you can change and how much you can do yourself. The user manual can be a bit clumsy to use. Overall: I would overall recommend Alumni Channel! Pros: Finding information is easy. Cons: Have problem exporting individual classes to excel - doesn't work. Exporting class data to an external file can easily be accomplished using your Membership Report in the admin page. Just pull up the report and click Revise to enter the criterion Year = xxxx. You also can easily edit another's profile by selecting the profile and clicking 'My Details'. Then select the option below the profile you wish to edit. Pros: It is user friendly for both the moderator and the members. The cost is very reasonable for the product received. The support is excellent. Technical questions are answered promptly. Contact is maintained. We have received a lot of positive feedback from our members regarding the website. Cons: I have not found any cons yet. Overall: I have been very pleased with the product and recommend it to other perspective clients. Pros: Fast implementation of personalised changes. Overall: I have no hesitation recommending the Alumni Channel to other educational establishments. Chris has been excellent working with us individually to design a site that suits our needs. My experience has been pretty good once I figured out how the site works. Pros: I like the ability to modify student searches to look for specific information (like if they did co-ops). Cons: Sometimes the site can be a little hard to navigate, especially when you are trying to figure out how to do something in the site. Pros: I find the alum channel very easy to use. I know when someone new signs on so that I can send a quick welcome and give a bit of present news. I am very happy with the product. Cons: At first it seems complex but after reading some of the helps it becomes a breeze. Overall: Superb! Easy to use! Serves its purpose well. Cons: As do most programs with a robust functionality, it takes some time to learn how to navigate around the site. But it is worth it. 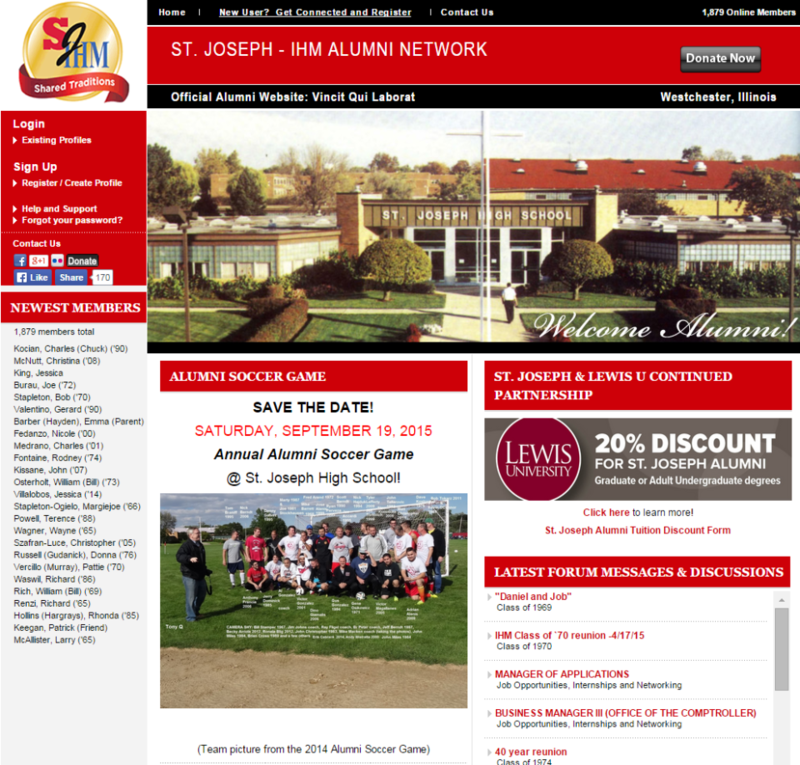 Overall: Alumni Channel has been a very helpful tool in helping us organize our alumni contact information and for sending out information on news and events. Alumni Channel is great for all Alumni worldwide. Comments: I find it so awesome using Alumni Channel to build our website. I am still learning and hope to do amaising thing with this site. Thank you, Mr. Anderson, for the good review. We work hard to provide a reliable service to assist you manage, and communicate with, your alumni. Pros: Very user friendly. Great value for price. Excellent personal customer service. Cons: Not as flexible as if you had built your own website...but the pros far out-weigh and cons. 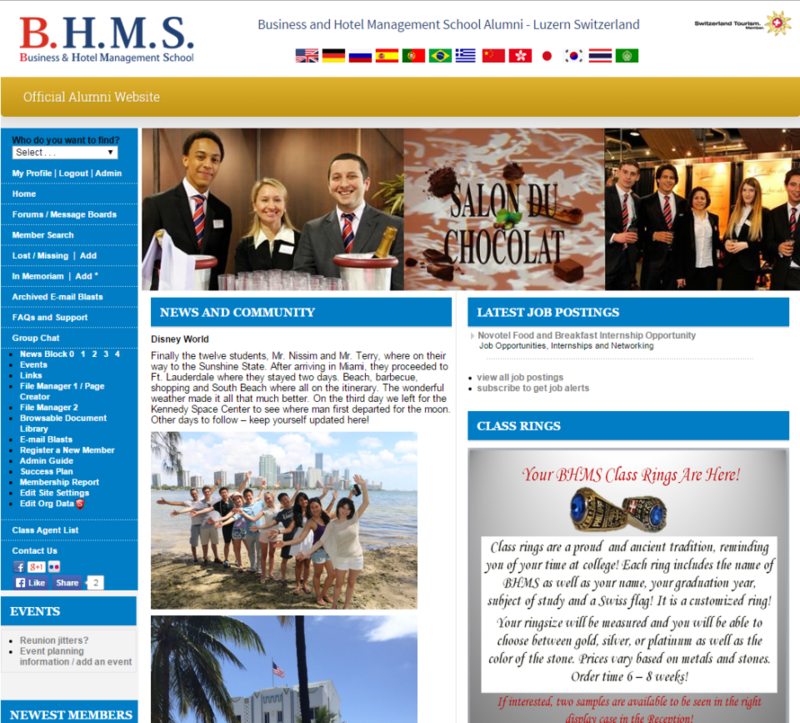 Overall: We needed a new alumni website that was user friendly. We were recommneded to them by another school and they far exceeded our expectations with service, quality and price. Comments: Everything about the site is easy to use, and the tech support guy who helped us get set up was great about getting info back to us quickly. The structure/functionality of the data library is a little confusing for folks who don't know their way around computers already, but once you get a feel for it everything operates as expected. Getting better. Improvements are slowly coming. Pros: Ability to add classes to the software. Classes have the ability to have a page within the general site. Cons: Ability to generate reports. Need more reports. Email blast is improving. Need to have more choices . Need to be able to record finances better of groups. Overall: We are able to get more people registered through class participation. I would recommend the Alumni Channel to any school or group that would like to reach out to. Pros: Great site...great support...the community has responded very well to the site. The stie can support a lot of features the alumni find interesting and informative. Cons: I wish I had more time to devote to developing the site. Overall: I would recommend the Alumni Channel to any school or group that would like to reach out to their community ! Pros: Very user friendly, fantastic customer support/ response time, software features, discussion boards, click and pledge feature, view finder...475 users w daily registrants...good activity from alums, 5 stars in every category! Pros: Association is pleased with all the features available. Appreciates the immediate support given by Chris Gerhinger...always available to help with any issues. Cons: Nothing on part of Channel...problems getting members to interact, fill out bio and pay membership. Overall: Would recommend to any alumni. Pros: The profile section is good with all the links available. Our rep is good about helping answer alumni questions and using the product. Cons: I think is it difficult for alumni to put photos, etc. on the website. Actually, they are not that easy for me to add either. The time it takes to pull up the map or whatever it is online is too long. I think the administrator functions could be more user friendly. Overall: The product is fine if the administrator has time to be on the site. Kathy, let's connect some time this week or next for a review of the site, including signing up seniors, adding Upcoming Events, adding photos, new photo options, etc. They've already thought of everything and made it easy! Comments: With almost no webpage experience, I was able to pick up on the process quickly. Chris was always available to help when I didn't. We had a list of requirements; Alumni Channel met them all and many more we hadn't thought of. Launch was so much fun! Feedback from alum is great. Pros: The Alumni channel has been a pleasure to deal with from the first day we contacted them. Continually updated and improving features. Always open communication and the best customer support I have ever had. Overall: 100%, would recommend highly. I highly recommend Alumni Channel for alumni interactive communities/websites. Pros: Alumni Channel has enabled us to identify and engage our alumni in ways that we never had before. The customer support is fantastic. Cons: There are no cons or negatives. Overall: I highly recommend Alumni Channel for alumni interactive communities/websites. Overall: I would recommend Alumni Channel for organizations who want to increase communication between members. Overall: I would recommend this to other groups in our position. Pros: Very easy to use site and addresses almost all of our needs. Overall: Excellent. I would highly recommend it. Overall: Great software for anyone that want to stay in touch with an alumni group. More cumbersome to use than it should be. Comments: The software is probably good, however as a devout Apple/Mac devotee I find it cumbersome and not as user friendly as I'd like. That said, I don't post, publish or update as much as I should or as I'd like. I published my personal site on Apple's iWeb. Using basic, premade templates, the experience was completely different and I was more than pleased with the results.